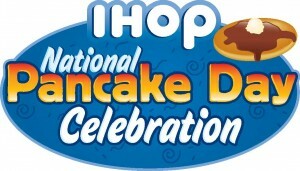 This year’s National Pancake Day is March 3rd! At IHOP you can get FREE pancakes when you stop by between 7am and 10pm! IHOP is also using this time to support the Children’s Miracle Network by taking voluntary donations. If you donate $5 toward the Children’s Miracle Network, IHOP will also give you a $5 coupon for your next visit.